Nana: Goodness, have we been hit by a hurricane? The whole living room is cluttered with papers. What on earth are you doing? Nina: Oh this! I am learning origami Nana. Nana: Another new project! Don’t you ever finish old ones first? I thought you were going to learn about solar panels and install them on our roof. Nina: Actually Nana I was doing some research about the solar panels and that’s how I stumbled up on origami. Nana: What lies! How are they even related? Don’t make up stories to justify your getting distracted. Origami is a child’s craft hobby. It doesn’t have any actual uses. It’s just for making silly decorative items from paper. A waste of time, if you ask me. Look at the mess you have made. Nina: But Nana, NASA is planning to use origami in it’s space bound devices, particularly solar panels. That’s how I came across the idea of origami while researching solar panels. 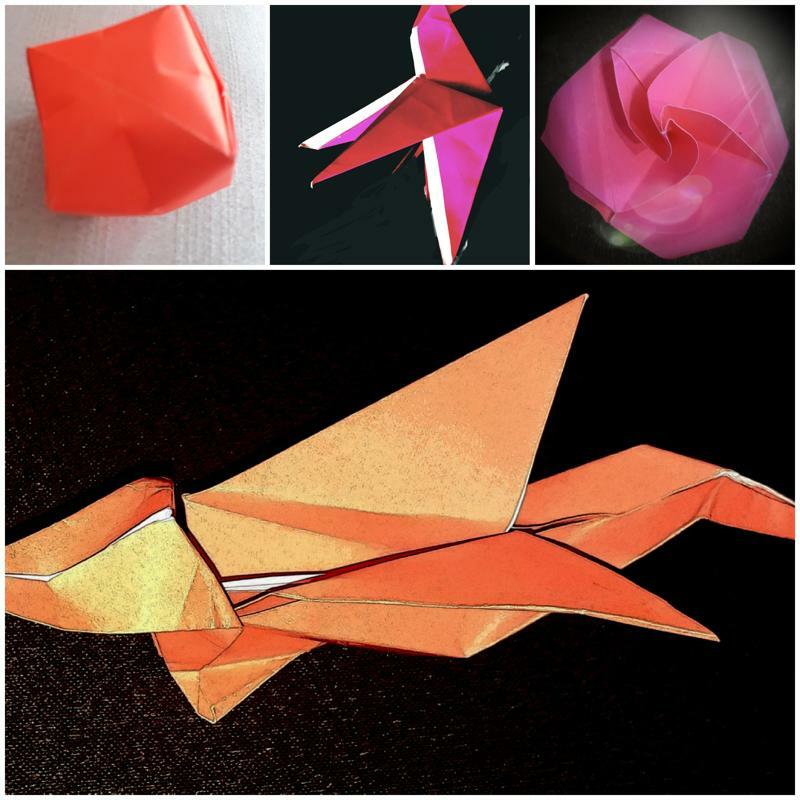 Nana: How does origami help in complex technological constructions? It’s just an art form accomplished by folding paper. Nina: Origami is used to convert a simple piece of paper in to highly complex structures, simply by executing a series of folds. It’s a mathematicians dream! Nana: A mathematicians dream? I thought you said NASA was interested in it for solar panels. Now you say it’s of interest to mathematicians. It’s just paper-folding, not magic. Nina: True Nana. It is not magic. It is better than magic. It is science. 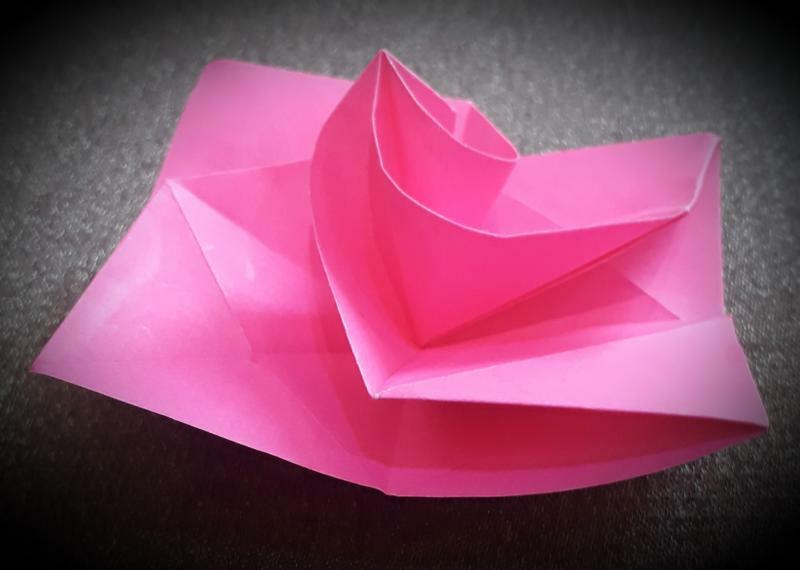 Mathematicians are interested in it because with a few simple types of folds, a piece of paper can be converted in to a complex structure. That is the basis of mathematics, right? Nana: You mean like how using the two simple rules of addition and subtraction many difficult problems in arithmetic can be solved. Nina: You forgot multiplication and division Nana. Nana: No Nina. Don’t you remember that multiplication is just a symbol for doing addition several times over in a particular way, and similarly division is repeated subtraction? Nina : Oh yeah, right. But Nana do you remember teaching me Euclidean geometry? Nana: Of course, you loved doing constructions with a ruler and a compass. Nina: Yes Nana, I remember, and I am really excited that origami is an alternative approach to geometrical construction. In some ways it is more powerful than the ruler and compass approach. I am trying to learn how to use it to trisect an angle, something that is impossible to do with a ruler and compass. Nana: Really? You can do that with origami? That is amazing! I can see why mathematicians find it fascinating, but what’s it got to do with NASA and the space program? Nina: NASA plans to use origami to fold up large flat sheet solar panels in to compact structures that are easy to transport. They can be easily`opened up, by just tugging at a couple of corners remotely from earth, so there is no need to send astronauts for this. The beauty of origami is it allows for complex structures to unfold smoothly. These giant orbiting solar panels can then beam power down to earth using microwaves. Isn’t that cool Nana? Nana: I suppose it is. Okay fine, I agree origami is not frivolous. But it is messy! So clean up after you are done. Nina: Look Nana. I made you an origami rose. Isn’t it pretty? Nana: Fine. It’s nice, but you are still cleaning up. Nina looks at the mess and sighs, but then she perks up. Nina: Let me see. May be I can make an origami broom or better yet an origami vacuum cleaner! Note: After I came across a fascinating article about NASA planning to use origami to design space solar panels my daughter Pell, and I tried our hand at it. The pictures in this post are of some of the origami items the two of us made in the last week. This post is a part of the #NinaAndNana series I co-host with Lavanya Srinivasan. Her posts can be found here.